…Having a good idea and having good technique. Not being afraid of salt and a lot of acid, everything needs that brightness. Details, details, details, that’s the key. I had the pleasure to interview Aaron Franklin of Loro. Loro is an Asian smokehouse and bar brought to you by James Beard Award winners Chef Tyson Cole and Aaron Franklin with a menu featuring grilled and smoked meats, sides, craft beer and batch cocktails. You can order food at the bar and sit in the warm and expansive indoor space or outside on the porch shaded by a canopy of hundred-year-old oak trees. The much-anticipated restaurant is a part of Hai Hospitality, the restaurant group that counts Uchi and Uchiko in Austin; Uchi in Houston; Uchi and Uchiba in Dallas; and Uchi in Denver among its concepts. 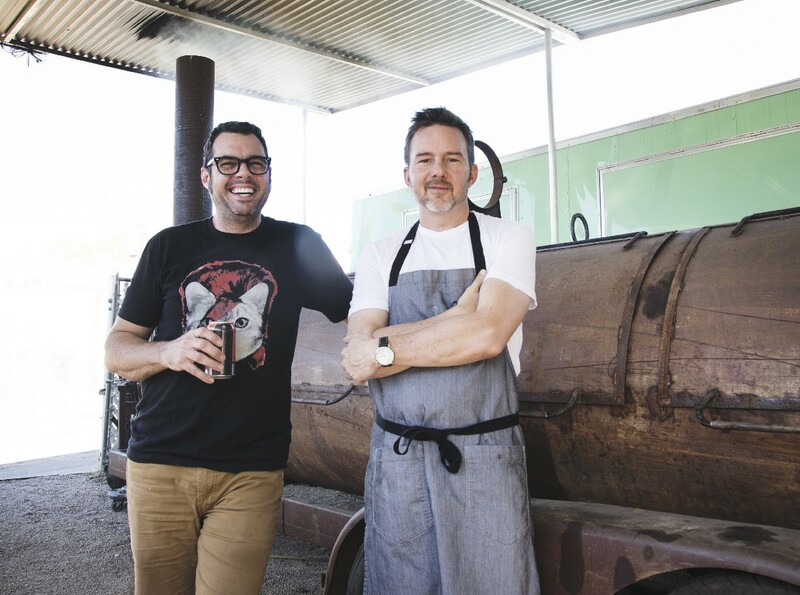 This is Aaron Franklin’s first restaurant venture outside of his acclaimed, award-winning Franklin Barbecue in Austin. The Loro menu was created by Chef Tyson Cole and Aaron Franklin with the Loro team to offer a variety of dishes that balance Southeast Asian flavors with the rich texture of traditional Texas BBQ. What inspired you to become a chef (or restaurateur)? I would hardly call myself a chef, but the quest for knowledge and attention to detail is probably what led me down the path to Franklin’s. I played music forever, and working in restaurants is pretty parallel to working as a musician. Bands and restaurants tend to work in the same kind of manner. I started to cook barbecue because I loved the process of it, the attention to detail and the way it’s centered around a live fire. I like things where you’re always learning, and cooking barbeque specifically is something where you can never know enough. It’s been interesting. We started off in a trailer, and I had never worked in a kitchen until we opened the barbecue trailer. So, building it our way has been the path. There’s no right way to do it. It’s exciting to figure things out on the spot. My journey has really been learning to be a better cook and to lead people better. Always continuing to build. The process with Loro has been really awesome. Everyone involved is really talented. It has been super easy. It’s kind of funny, most of the other guys involved in Loro were confused about what I do, and I was confused about what they do. It’s been really fun getting to know those guys and build something together. Barbecue. 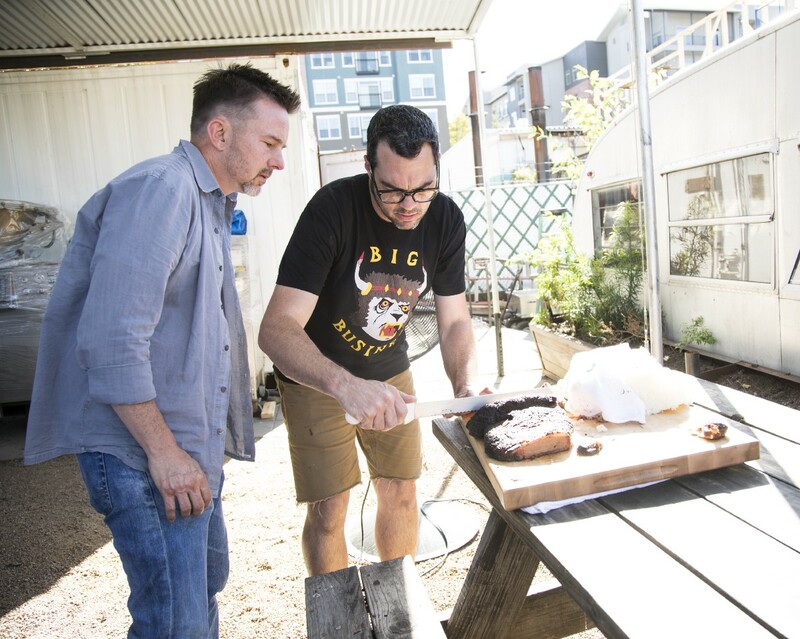 I was drawn to barbecue because I love the process and attention to detail… and fire is cool. Our restaurant burned down, so that’s pretty hilarious… just kidding, it’s really NOT funny at all, but I do try to find humor in almost everything. I don’t think I have anything too specific, ridiculous stuff happens all the time… like famous people trying to cut the line, people trying to pay other people to wait in line for them…All kinds of ridiculous stuff happens, but, all in all, there’s always something to laugh at! People gauge success in so many ways “I own this many restaurants” or “I have this much money.” Success seems like kind of an ego-driven thing. I think success for me is actually being proud of what we’re doing. The fact that we have been successful because so many people work here, so many people come to visit. We have such a sweet, awesome, dedicated family here. That seems like success to me. To have a place where people can be happy, where people can be creative and get paid? That’s amazing! All the relationships we’ve built over the year is pretty incredible. Well, there are quite a few, that’s the process of learning. I don’t look at anything as a failure; I try to look at everything as a learning experience. What do we gain from this? I tend to have a pretty positive outlook on most everything. Hopefully, I have learned something from everything I have fallen short on. I can’t think of anything that I regret in any way. It’s all part of the big picture. If you always win, it gets boring. I have a book coming out April 9th about steak. I’m thinking about doing a few steak pop-ups around the country. We’ve got Hot Luck coming up in May during Memorial Day weekend, which isn’t new but it is exciting. Got some awesome things coming up in spring and summer that I probably shouldn’t talk about yet. My biggest advice is to take it slow and be realistic with yourself and your skills. A lot of people come out of culinary school and say “I’m going to open a restaurant!” Hold up…take your time and when you’re ready, let things organically fall into place. Pay attention to the details, they really matter. Be willing to learn and be realistic about your shortcomings. Don’t be overly confident, it can kill a lot of potentially great things. It’s better to under promise and over deliver than the opposite. Think about where you want to go and reverse engineer to figure out your game plan for how to get there. Having a good idea and having good technique. Not being afraid of salt and a lot of acid, everything needs that brightness. Details, details, details, that’s the key. Bringing people together is the whole premise of barbecue in general. If you look at history, barbecues have been gathering spots for communities, friends, and families, and I think that still carries across. Both restaurants have a common ground of bringing people together. All are welcome. That’s the thing, you look at the nostalgia of food, that memory is always there, and food is a powerful memory. That’s a tough one. I can’t really think of anything just because I don’t look back regretfully, and I’ve learned from the good and bad along the way. It all compiles into a grand story. I’m afraid if there are five things, people will have to figure them out for themselves. That’s the fun part! Inspiring goodwill, less hate, be respectful with a good ethos… Good standards of good humanity. All pretty standard stuff. I don’t really keep up with who’s who….It’s hard to say…. but Obama was really nice! And he likes food and beer!